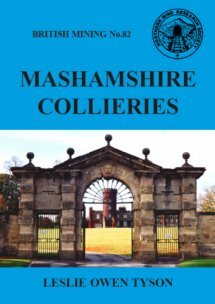 Many of us are aware of Mashamshire through the products of Theakston's brewery, but far fewer have heard of Colsterdale. Of these, many probably only associate it with the ill-fated Leeds Pals. This book, Les Tyson's fourth, shows a different aspect of the area and presents a readable account of his meticulous study of an isolated Dales' estate and its coal mines. The latter were worked from the 14th century until the 1870s, one of the longest and best documented periods of working of any upland coalfield in Britain. Colsterdale was also home to an experiment in social engineering.